Although Stacy LaCour did not aspire to be a real estate professional, his years in the industry helping hundreds of people fulfil lifelong dreams has convinced him that this is what he was meant to do. 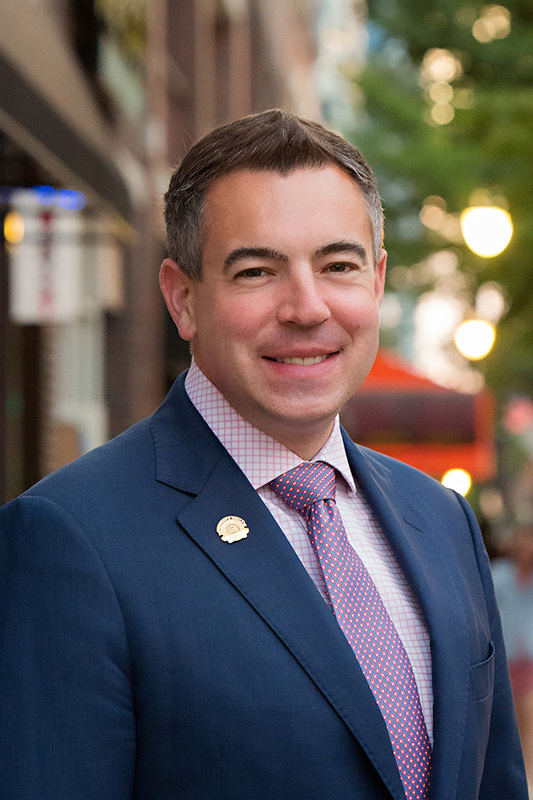 After serving in the US Army, both within the United States and abroad, and receiving a degree from Georgetown University, Stacy married his wife, Julie, and moved to Central Illinois in 2003. They currently reside in Mahomet with their two children, Sydney and Harrison. Stacy's wife works for the College of Education at the University of Illinois. Stacy serves his local community as a Director on the Mahomet Area Chamber of Commerce and the Vice President of the Mahomet-Seymour High School Booster Club. Prior to entering the real estate industry, Stacy had already earned a reputation for delivering excellent customer service in his previous positions at Bundy Business Machines and as a Creative Marketing Manager at WCIA television. Outside of real estate, Stacy coaches for the Mahomet-Seymour Youth and High School Soccer Club, where he has been volunteering for the past nine years. Raised in Pesotum, Carrie is an alum of Unity High School. She attended Parkland College before transferring to the University of Illinois at Urbana-Champaign, where she obtained her BS in Business Administration/Entrepreneurship. Carrie obtained her real estate license in early 2016 after serving as the Manager of Donor Relations at Community Blood Services of Illinois for several years. She appreciates that each client is different, and strives to represent them in a manner that meets their individual needs. Carrie's extensive customer service background, along with an acute sense of detail, makes her an ideal partner when you're ready to buy or sell a home. Carrie and her husband, Jason, reside in his hometown of Mahomet with their sons Sullivan and Calvin, and boxer, Hogan. Outside of assisting people with their real estate needs, she loves taking on her own home improvement projects, reading, attempting to cook, and spending time outside with her family and neighbours. Carrie volunteers with Mahomet Area Youth Club and Meals on Wheels, is a regular blood donor, and is active within her church. As a "local" with connections abound, Carrie looks forward to walking through the home buying or selling process with you, every step of the way! A Champaign native, Steffanie graduated from Centennial High School and attended the University of Illinois at Urbana-Champaign. Upon completing her undergraduate studies at the University of Illinois, she began a career in retail management at Vilardo's, a long-standing local boutique in Champaign. After working within Champaign at various retailers, she began a career with Lilly Pulitzer as a part of the management team. Her role as the visual manager allowed her to use her creative side and set up merchandise in a way that would appeal to the customer and ultimately end up with additional sales. Steffanie lives in the Champaign area with her husband, Tony. Outside of real estate, Steffanie enjoys cooking, baking, and spending time with her three fur-babies, Koda, Oliver, and Ozzie. Steffanie is eager to help you find your perfect place to call home, which is why you want her as your new agent. Lincoln has a unique understanding of the needs of freshly relocated clients as they settle into their new home. Having relocated several times for professional positions, He came to real estate after spending over 25 years in higher education, serving as an admissions, enrollment, and marketing professional and consultant. He holds a Bachelor's degree in History, and a master's degree in Higher Education Administration, both from Illinois State University. Early in his career he worked at the University of Illinois, and remained a Fighting Illini fan as he moved into new positions around the country, finally settling in Mahomet. When not assisting clients, Lincoln is an avid sailor and photographer. He is an active member of the Clinton Lake Sailing Association, and can be found on the water most summer weekends. Jordan grew up in Fairbury, IL, just an hour north of Champaign. He was raised as a true Fighting Illini fan and visited the area frequently. He first moved to Champaign to attend the University of Illinois in 2013 and had the privilege of working for the Illinois men’s basketball team during his time at U of I while attaining a bachelor’s degree in Kinesiology. Upon deciding they wanted to make this community their home, Jordan and his wife, Lauren, wed the summer of 2017 and settled in Champaign to begin their professional careers. 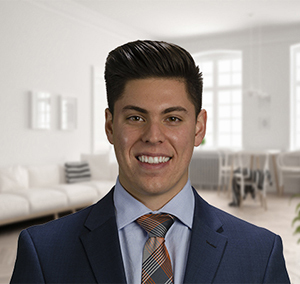 Jordan has developed a real love for real estate while working in property management. He strives to establish meaningful and lasting relationships with clients while helping them find the perfect home. Apart from working in real estate, Jordan takes every opportunity to spend time with family and friends. He and Lauren find joy in raising their puppy, Jax, getting out in the community through Illini sporting events and getting involved in their church.